Whether it’s the Christmas tree, the stuffed turkey or jingle bells, Christmas wouldn’t be Christmas in Birmingham without the Birmingham Royal Ballet’s annual production of The Nutcracker. Many Brummies would argue it is one of the city’s most important traditions, along with the German market of course. I spoke to Lachlan Monaghan, a First Artist at the Birmingham Royal Ballet about the show and making his debut as the Nutcracker Prince this year. After joining Birmingham Royal Ballet in 2012, Lachlan’s love for ballet spurred off his talent for tap dancing. After tapping from a young age, he was encouraged by his tap teacher to give it a go. “I’ve always had a great love for music and I’ve always been quite creative so I think it just took me a few years to find where that was going to really lie, but when I took to ballet it was like a duck to water really,” he said. 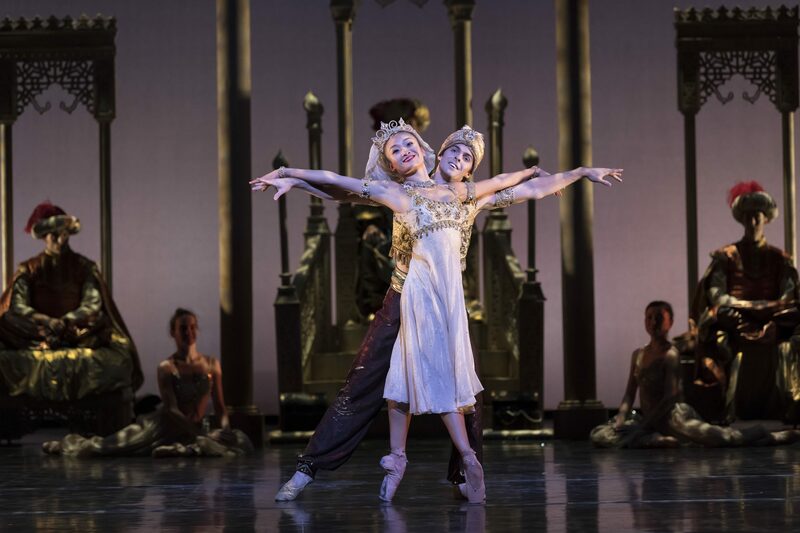 The Nutcracker has been part of Birmingham Royal Ballet’s repertoire for many years and is a favourite in Birmingham as it kicks off the countdown to Christmas. “Year after year audiences love it and come back all the time. It is amazing to have such full houses all the time, and audiences that are so appreciative from young children to older adults,” Lachlan said. As a lot of the dancers return to perform the same role every year, Lachlan expressed his excitement to get his teeth into dancing the the Nutcracker Prince. “It is an interesting time of the year in the studios, you walk past and in every studio there is someone doing that pas de deux and it is quite scary but also exciting,” he said. I asked Lachlan whether or not he watches the other dancers in the company who are performing the same role perform, he said: “Sometimes I get quite nervous watching others in the same role, if I am going to be doing that role the next day I often like to sit in the wing and listen to the music.” The music is something that Lachlan uses to prepare for a performance, even during the hours leading up to the start of the show. The Nutcracker opens this Friday at the Birmingham Hippodrome until the 13th of December before opening at the Royal Albert Hall for the first time after Christmas. For those few that may have not already experienced the spectacle that is Birmingham Royal Ballet’s Nutcracker, I asked Lachlan why he thinks people will love the show, “I think it is the most brilliant show and people won’t be disappointed.” Emphasising how it is ideal for families and people of all ages, I agreed that it really is the perfect Christmas treat. “I’d tell people to come and get into the festive spirit and support the local community of Birmingham as well. It is really important to support the arts at the moment and to have such a brilliant production, score and designs I just think everything about it is amazing,” he said. Birmingham Royal Ballet’s The Nutcracker opens at Birmingham Hippodrome on the 24th of November and tickets can be found here.